Selfless Service: The desire and ability to put others before self, making personal sacrifices to better our Corps, university, state, and nation – this is one of the Corps Values for members of the Texas A&M Corps of Cadets, and those values are embodied in its members like Bill Barnes (’76). 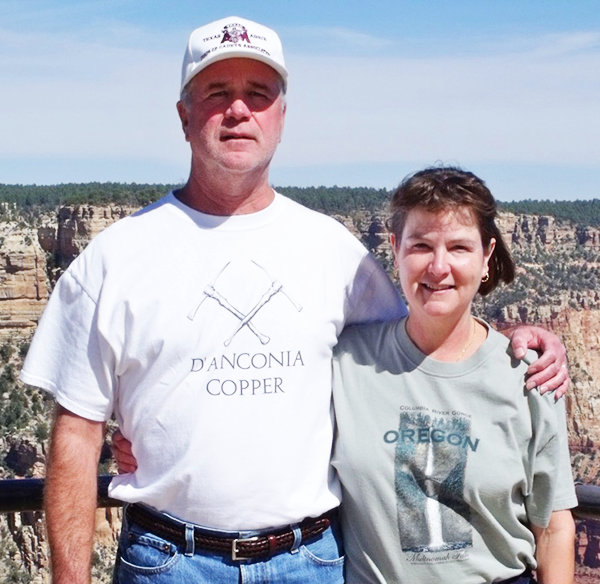 Bill and his wife Barbara have made a contribution to establish the endowed Barbara S. and Bill S. Barnes ’76 Professorship in Geology & Geophysics for the College of Geosciences with an estate gift. Any remaining funds from the gift will also be used to establish the Barbara S. and Bill S. Barnes ’76 Endowed Scholarship. The Department of Geology & Geophysics has thirty-two faculty members, including three joint appointments, and four post-doctoral researchers. Bill and Barbara hope this endowment will further the continued success of faculty within G&G. The college as a whole leads the way with a 1:13 faculty to student ratio. “Our desired impact would be for the professorship to attract an outstanding faculty member and for the scholarships to ease the financial burden for future students”, said Bill. The College of Geosciences has over 200 scholarships available to help its students better afford the opportunities to earn a degree from Texas A&M. In addition, the Barnes’ gift will establish the Barbara S. and Bill S. Barnes ’76 Corps of Cadets Endowed Scholarship. Bill graduated from Texas A&M as a member of the Corps of Cadets and enjoyed a 30-year career in oil & gas exploration with various companies. Barbara graduated with a degree in Geophysics from the University of Houston. In addition to her 30 years in oil & gas exploration, she was also very active with the Girl Scouts. The Barnes’ strongly believe that education is the foundation for future success. “I always felt having a degree from Texas A&M University was a real advantage. The degree is just the start. Real success comes as a result of hard work”, added Bill. And because of contributions from people like Bill and Barbara Barnes – future Aggies, geoscientists, and cadets will have a better opportunity for success.